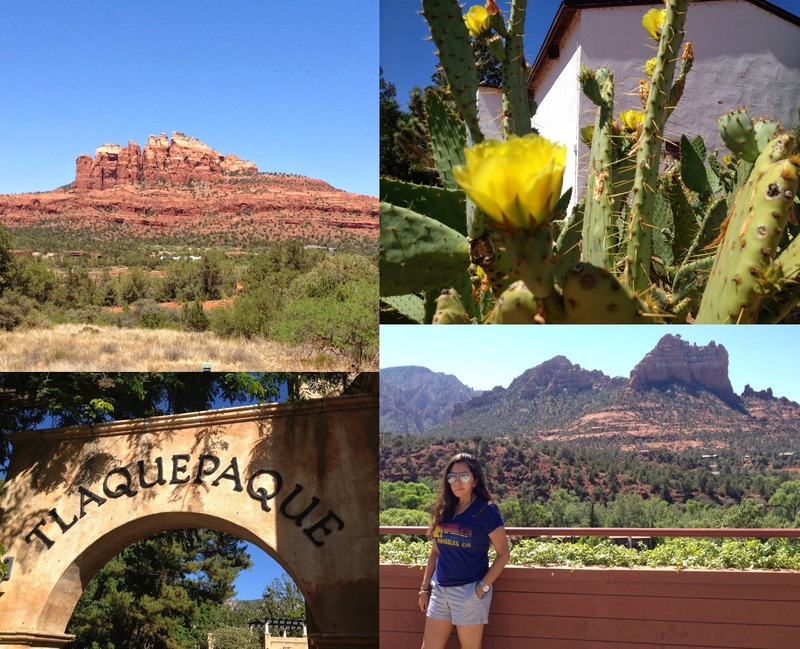 We are back from our weekend adventure in Sedona! You were right, Arizona was our destination for a little getaway. The last time I was out west was for our winter trip to Utah. Sedona in June is definitely no, Park City in November. Of course both are beautiful places but I am definitely in awe of Sedona. As I put together this post, I realized that none of my pictures grasp one ounce of how gorgeous and inspiring this place truly is. Sedona has a reputation for being scenic and I can understand when people talk about the special energy here. But for me it was not about a magnetic vortex, it was about nature and the way it made me feel...so alive. I have always been drawn to the desert and as we have spent the last 3 years exploring the southern part of the US, I have often reminisced over our fun excursions to Palm Springs and of course our trips to Las Vegas to visit my family. Yes, it' s hot and yes the sun burns, but the views are unreal. We knew we would not have nearly enough time to take in all that Sedona has to offer, so no jeep tours for us, nor mega hikes, just walks in the desert and leisurely meals. I remember the first time I went to the Caribbean, I felt like I couldn't waste one minute not looking at the ocean. It was the same feeling here, I had to keep looking out and stare at these formations that looked like God had taken some wet sand and let it drip into castle like formations. 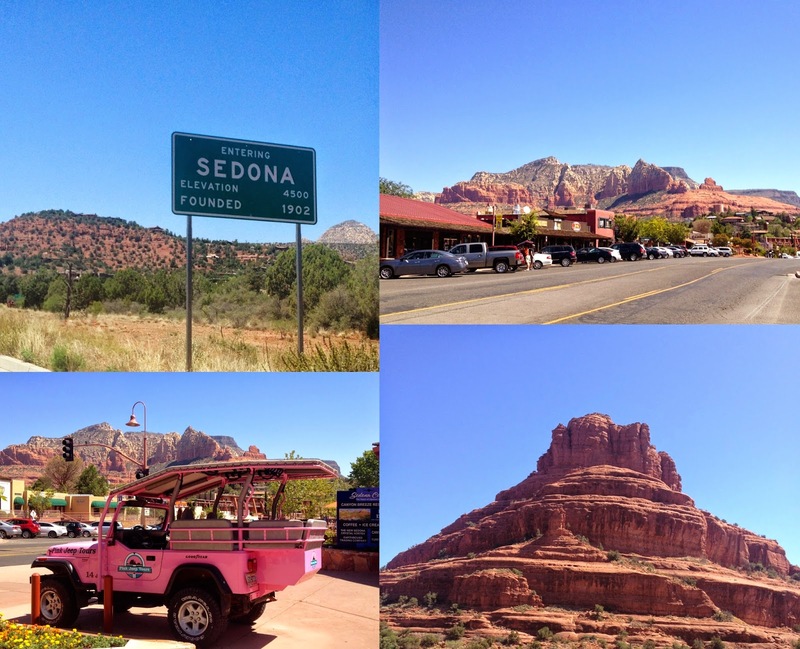 This post won't detail all the places to see in Sedona but I do have to tell you, you must put it on your bucket list. There are few places in this world that make you stop in your tracks and do some introspection, this is one of them. What city has made the biggest impression on you? Sedona is on my to-see list! I feel the same as you, I love both the ocean and the desert. Sedona might be one of my top favorites as well. I love how you described it. It's so stunning, and I think everyone needs to see it in person. We were there in October a few years ago, and the air was so cool and fresh! I love that city. Did you go to the chapel up in the hill? Love your pictures! Went to Sedona a few yrs ago on a girlfriend trip. OMG...we fell in love with all of it. And yes...we did find a special energy that was completely unexplainable to anyone. We still talk about it. We still question it. Definitely want to go back to try and figure it out. Or maybe not. We love the mystery of all of it. lemme see if I can send you link of my pics! made several posts about it but this was just one! We went to Phoenix for spring break in high school and never seeing Arizona or a dessert like place I was too was amazed... however Sedona looks way more awesome, in the true definition of awesome. Your pics look amazing and that pink jeep totally reminds me of jurassic park so props for that! Always a joy to see your adventures here. This made my day Laura! I love every photo.. magnificent! I reminisce the day that I visit Arizona with my family! Hiking and visiting Ghost town were one of the adventurous and educational experiences in the exquisite West! Pinning? I already did! Looking forward to witnessing the adventure you have!